Medical Psychology course contains both lectures and seminars. 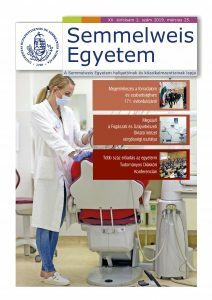 The lectures are held in the first seven weeks (Friday, 8.00-9.30 am) at the NET-Z lecture hall (Address: 4, Nagyvárad tér, Budapest) and the seminars will be held in the venues indicated on the course information sheet. The course is designed to give a broad overview of the field of medical psychology, including concepts, theory, and research. Develop an understanding of the complex interplay between one’s physical well-being and a variety of biological, psychological, and social factors. Understand the approach of bio-psycho-social model and become familiar with some frequent psychosomatic diseases. Be able to identify various psychological disorders and key personality traits related to health / disease. Week 4. SEMINAR Depression and mood disorders. Week 5. SEMINAR Anxiety and medical illnesses. Week 6. SEMINAR Eating disorders. Week 8. SEMINAR Personality disorders. Week 13. SEMINAR Behaviour change and psychotherapy. Stress management in medical practice. Week 14. SEMINAR Mental health of medical doctors. Prevention and management of burn-out. Bálint-groups. Students are expected to attend regularly the course and participation list will be recorded at the end of every lecture and every seminar. To participate on at least 75% of the total number of lessons is a prerequisite for getting the signature needed to absolve the course. The maximum number of absences permitted: one absence from the lectures and three absences from the seminars. Content of the lectures may appear in the exams. Written final examination taken in the examination period. Grades will be based on student’s performances at the final written exam. Behavior & Medicine, 4th Edition, Danny Wedding, Hogrefe & Huber Publishers, Seattle, 2006. Kopp M. – Skrabski Á.: Behavioural Sciences Applied in a Changing Society, Corvina, 1996. Fadem B: Behavioural Science., Lippincott Williams & Wilkins, 5th ed., 2008. Sarafino E.P. : Health Psychology. Biopsychosocial interactions. 6 th ed., New York, Wiley, 2008. The powerpoint slides and prezi presentations used for the lectures and seminars and also some related papers will be assigned for reading during the course, and they will be made available on the course website.